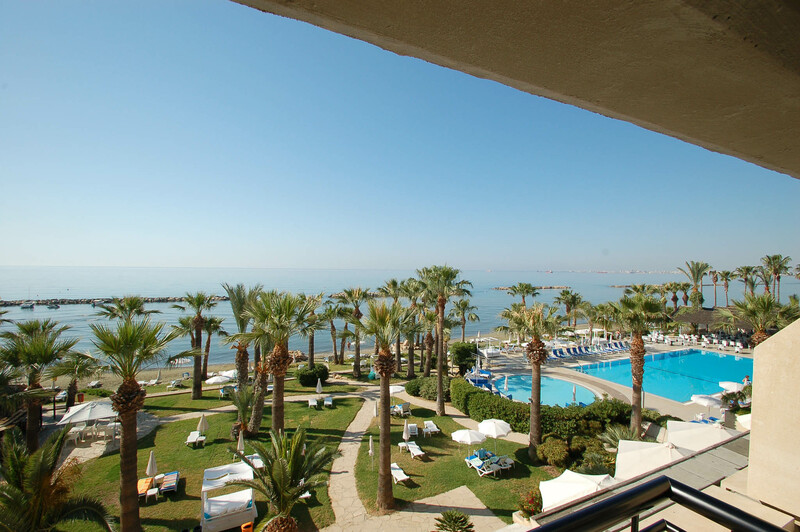 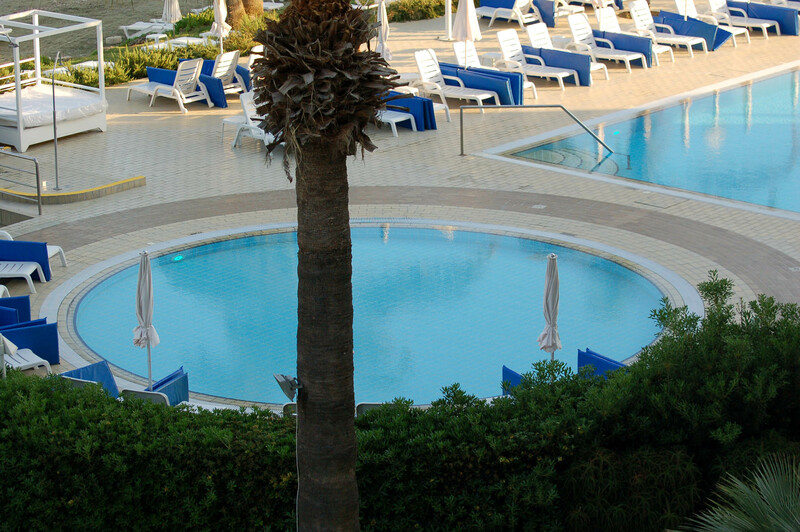 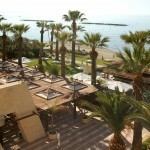 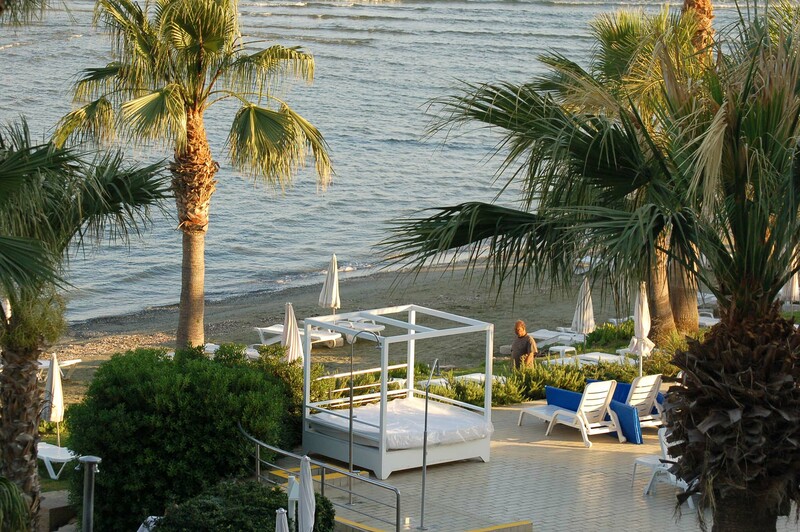 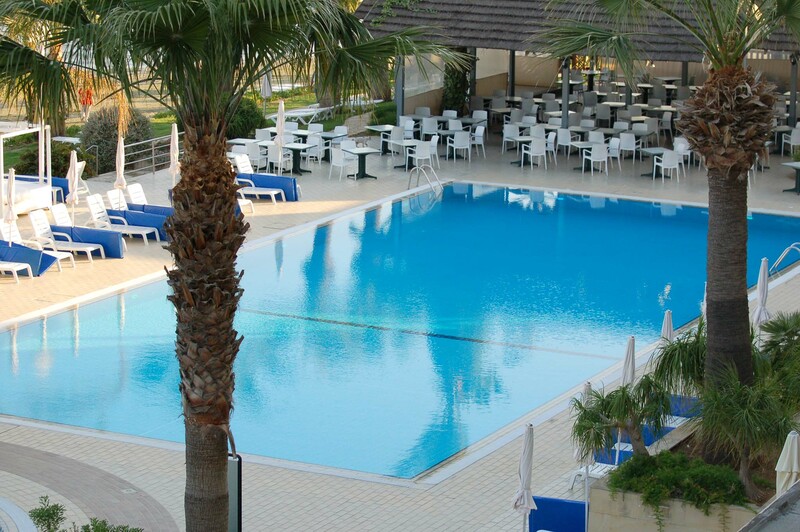 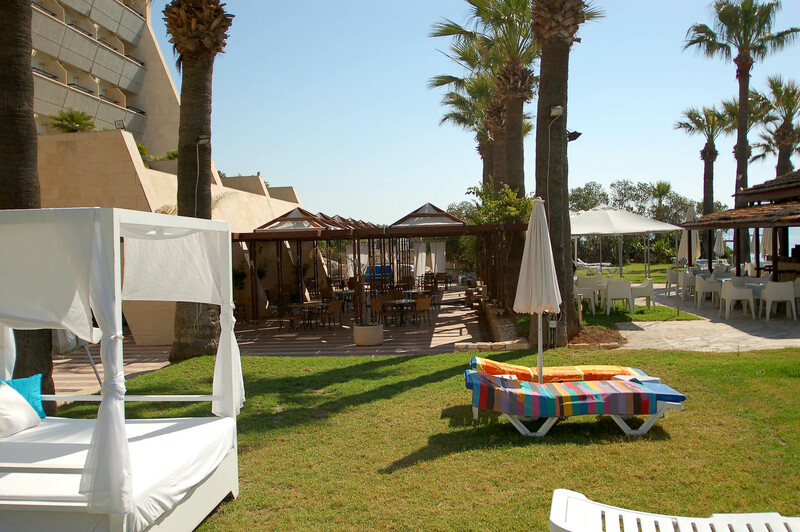 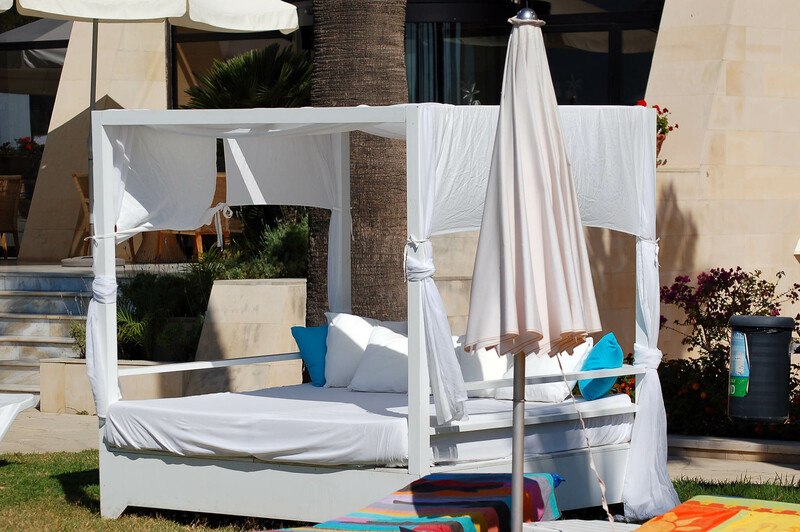 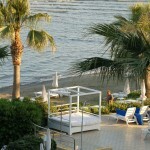 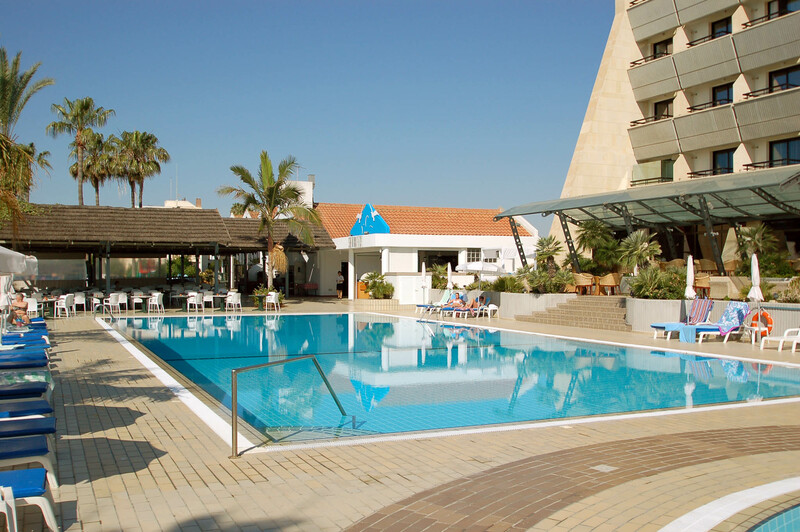 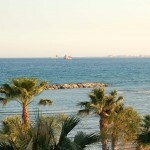 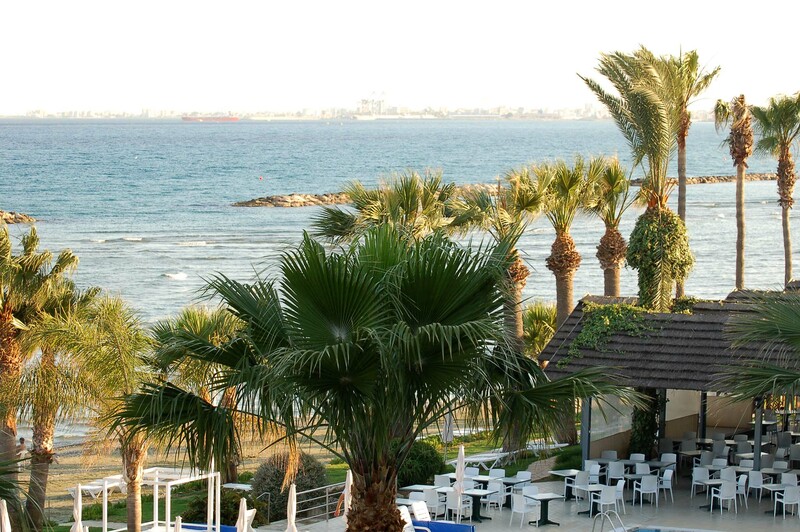 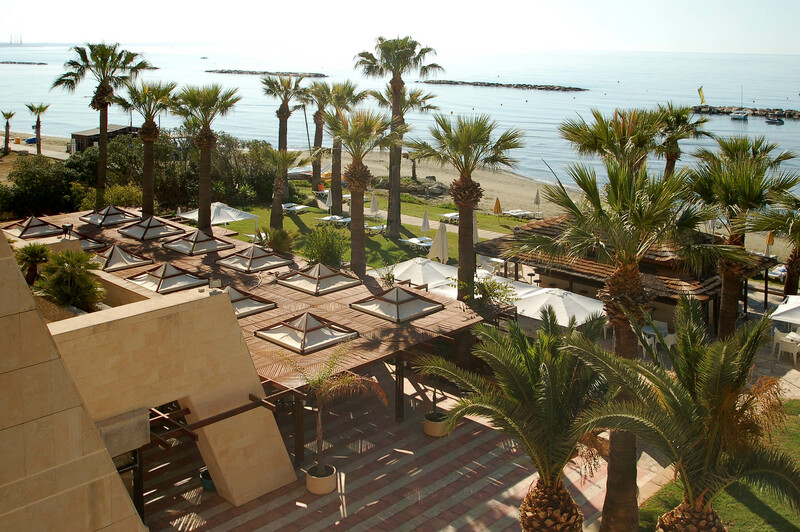 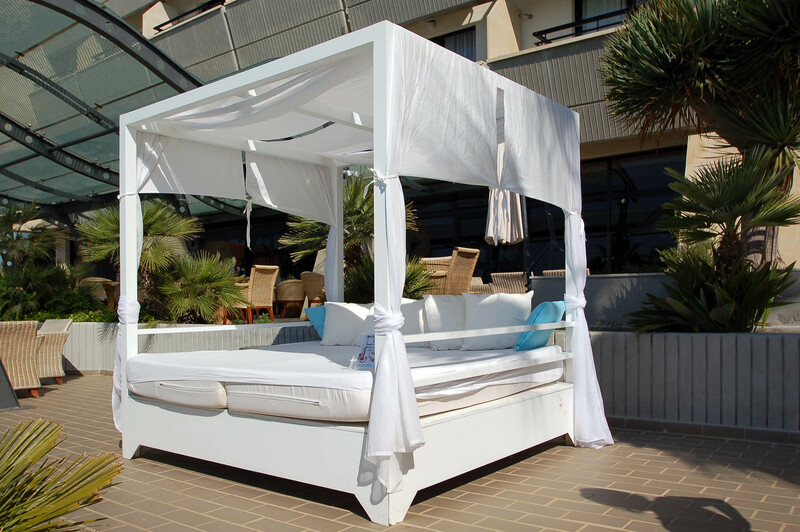 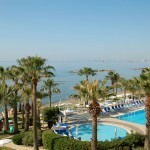 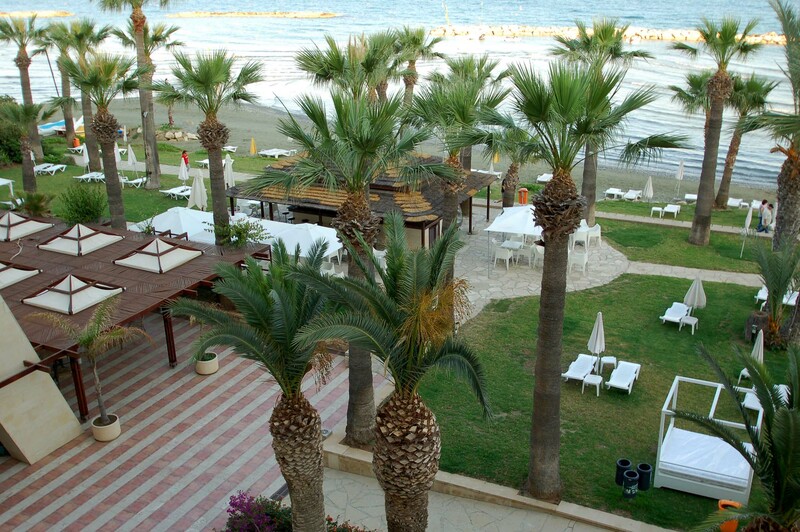 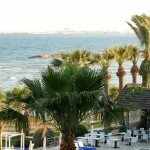 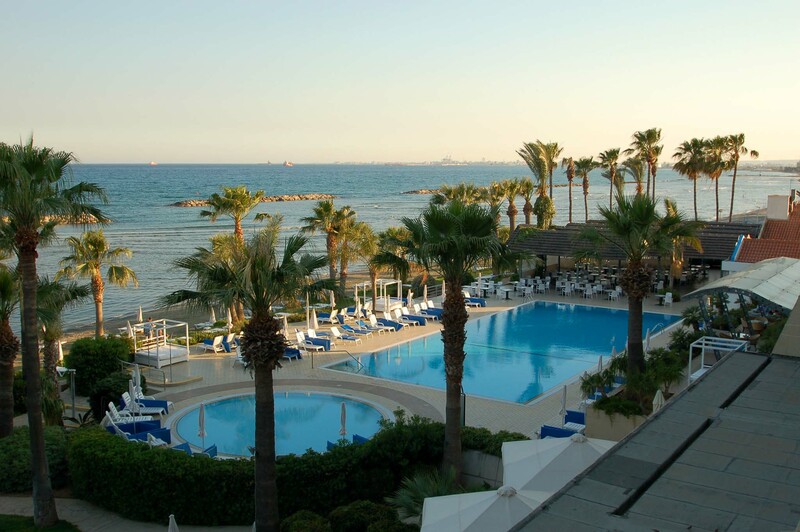 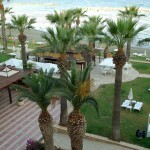 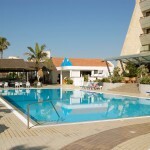 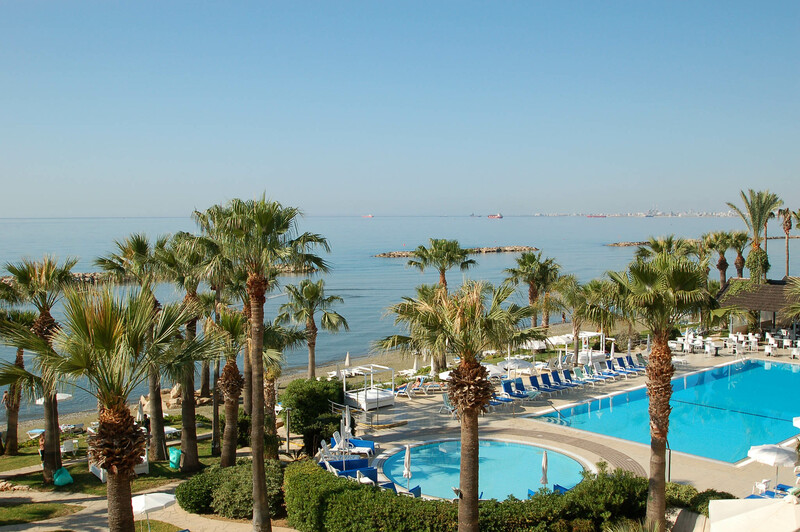 If you value excellent service and level of comfort, are looking for peace and quiet and like strolling along a sandy beach but also want easy access to the centre of tourist life, then you should stay at the Palm Beach Hotel in Larnaca. The hotel rooms were completely renovated in 2015 which means guests can now enjoy a relaxing holiday in new, comfortable rooms. 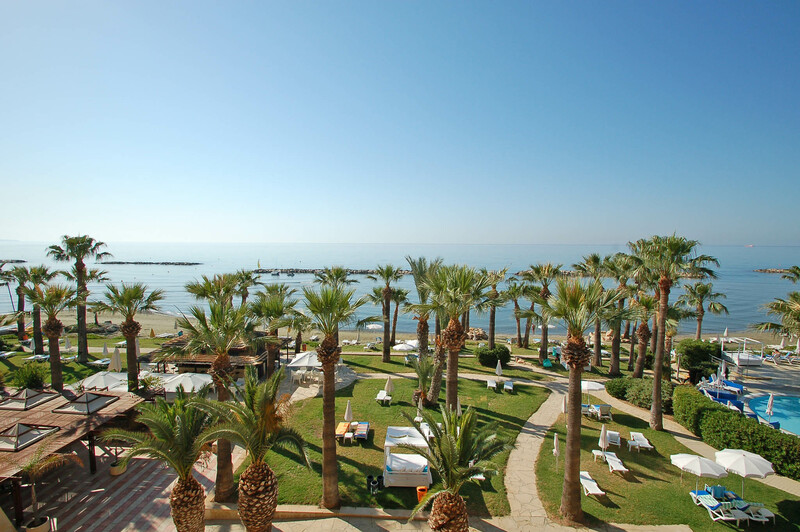 The quiet azure coastline and sea, gentle rustling palm trees and the vivid colours all await guests in one of the best hotels in Larnaca, a 20-minute drive from the international airport and 10 minutes from the city centre. 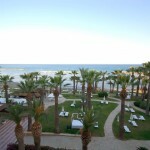 We stayed at the hotel in mid-May. 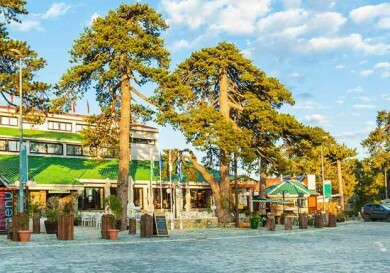 Despite the fact that the May holidays have ended (Russians traditionally visit the island at the beginning of the season), the hotel was almost full, indicating its popularity among tourists. 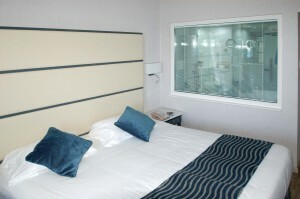 A piece of advice: if possible choose a room with a sea view (Superior Sea View Room). 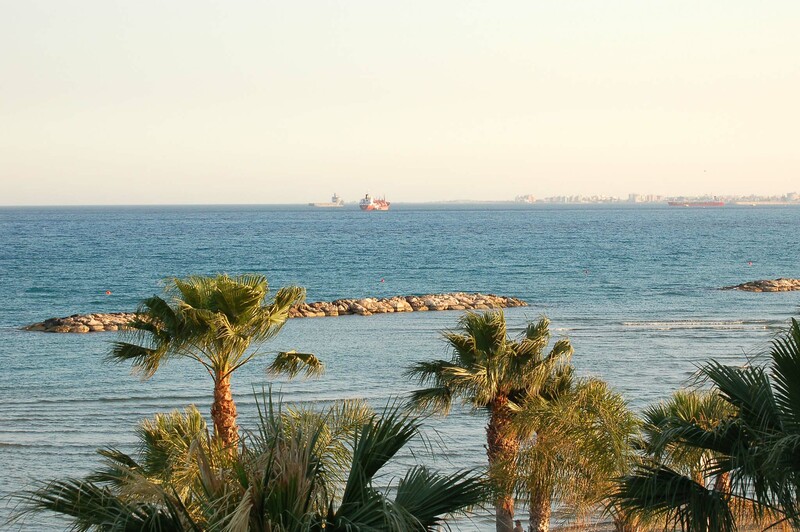 Nothing is more conducive to relaxation than watching the sunset from the balcony of your room with the sound of the waves and rustling palms. 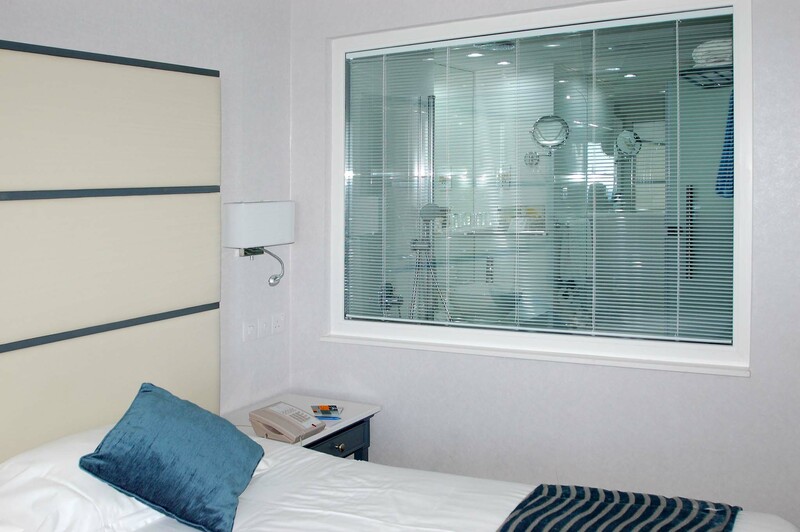 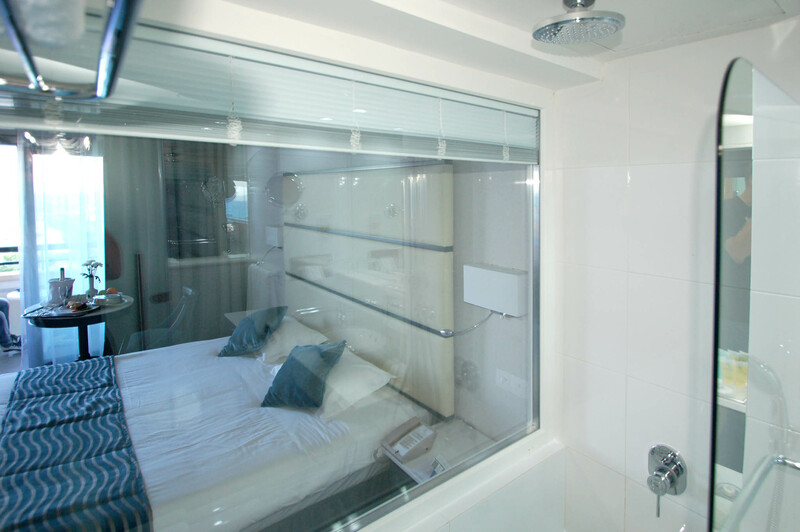 The rooms are relatively spacious, fully renovated, and sea views can be enjoyed even from the bathroom. 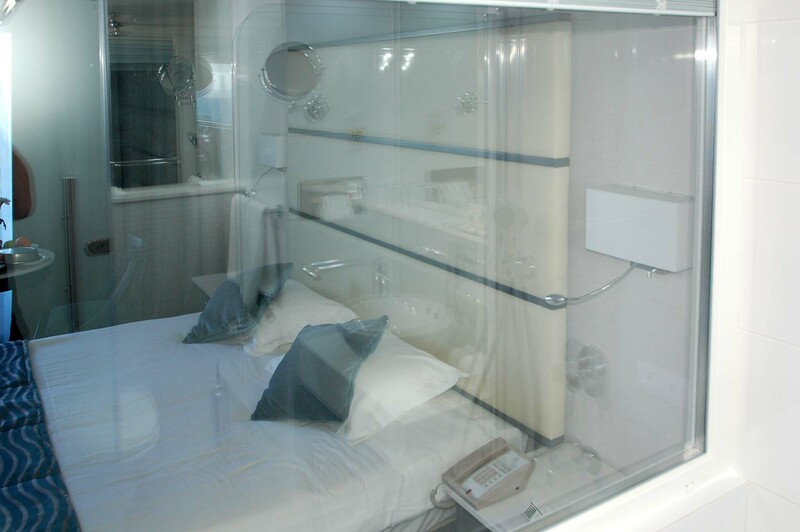 For the additional comfort of guests, a lighting system has recently been installed, where you can adjust the levels of light according to your wishes. 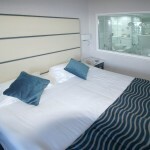 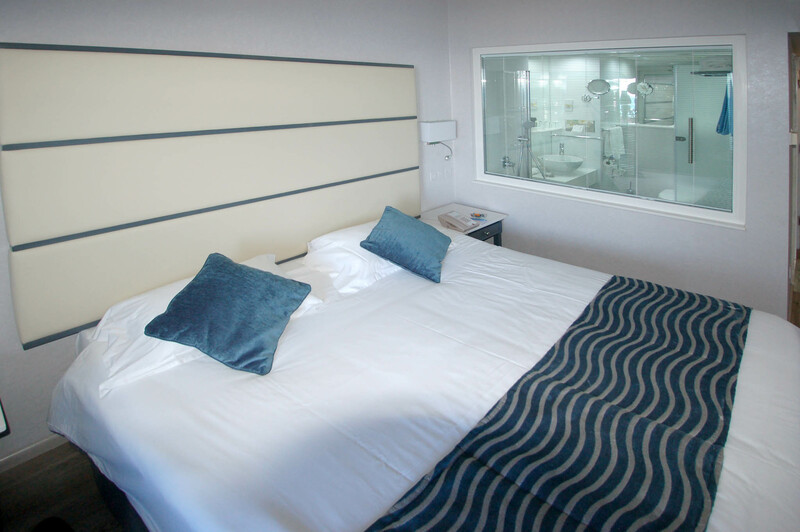 The rooms have modern facilities including an LCD TV with HDMI, USB and audio inputs, a tea and coffee machine, bathrobes and slippers. 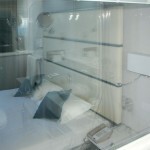 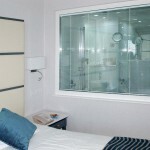 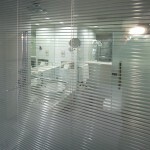 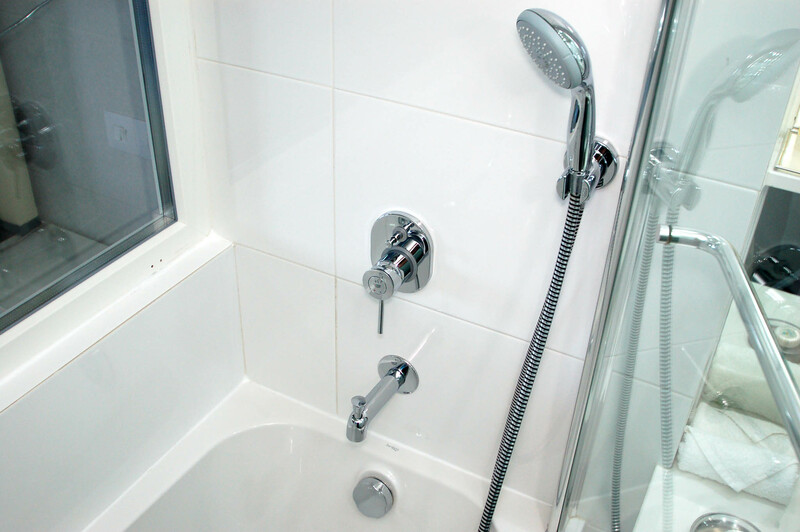 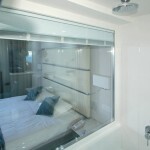 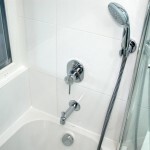 There is a bath with special “rain” and standard shower system, toiletries and accessories. 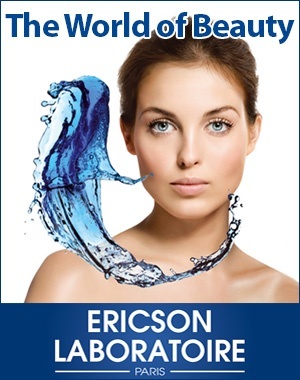 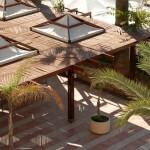 The presence of Wi-Fi throughout the hotel is also important. 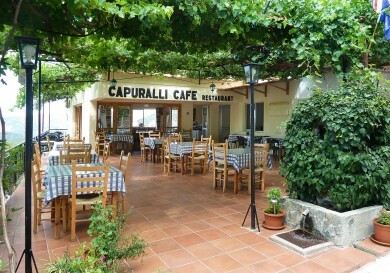 The Internet is free in public areas, and in the rooms costs €6 per day. 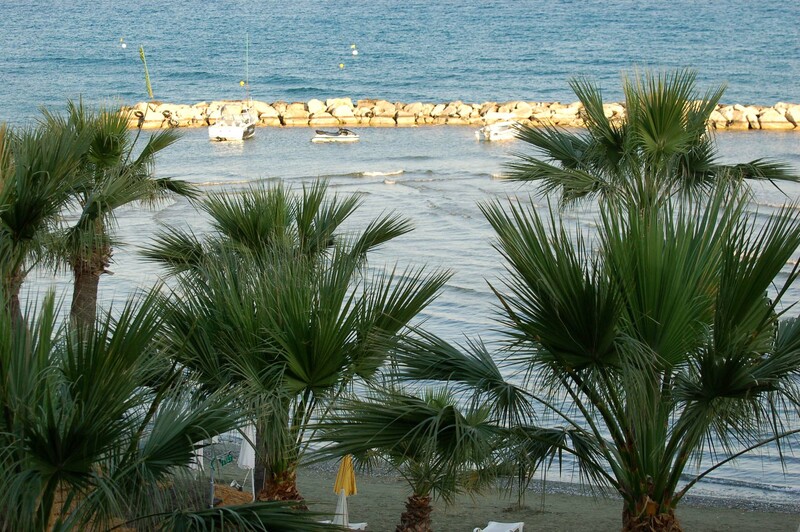 After relaxing for a while, we are going for a walk to the hotel. 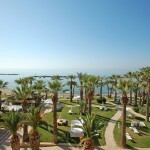 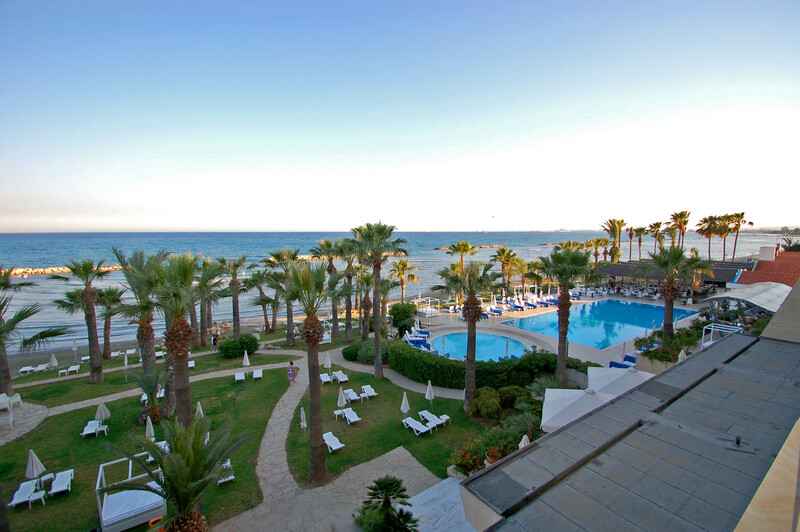 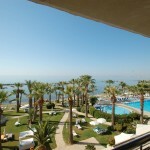 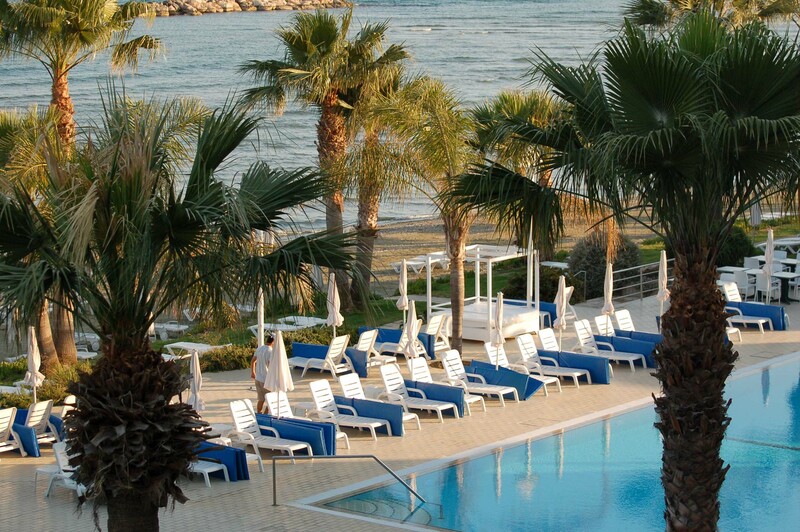 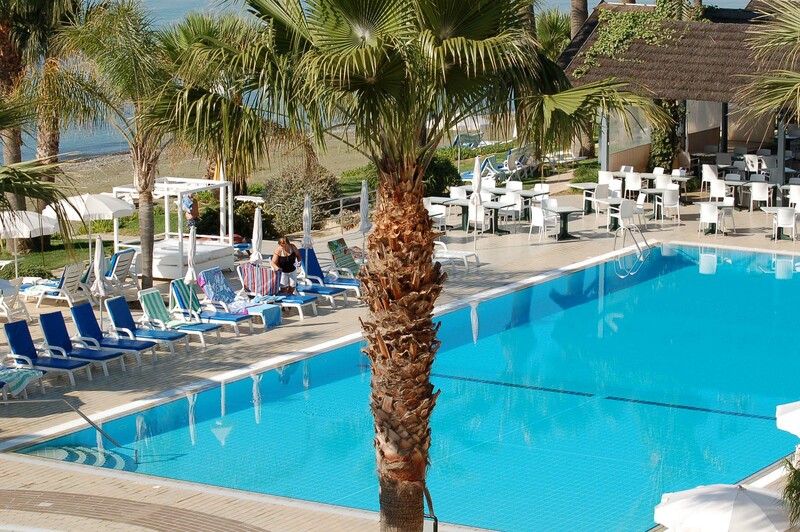 Beach Hotel Palm Beach 4* in Larnaca is very comfortable and ideal for families with children (gently sloping sandy beach, the presence of small coves and warm water even at the start of the season. 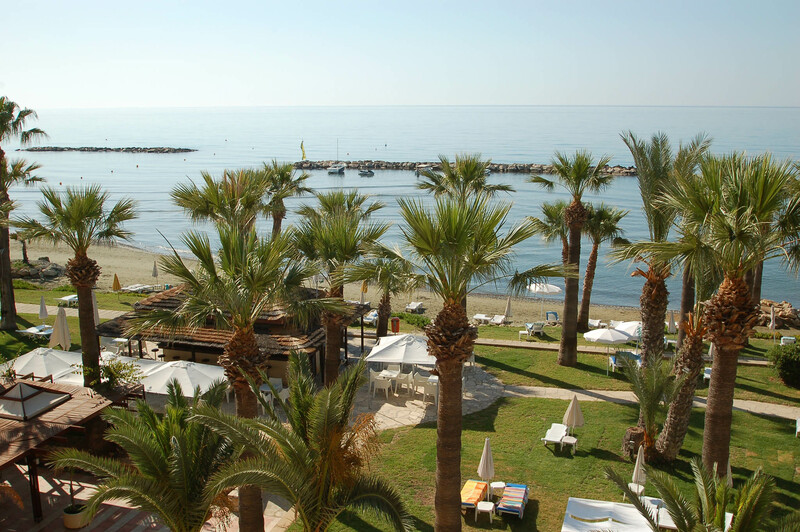 Step out of the Hotel directly onto the beautiful beach, along which a path runs where you will see early morning joggers and mothers with children. 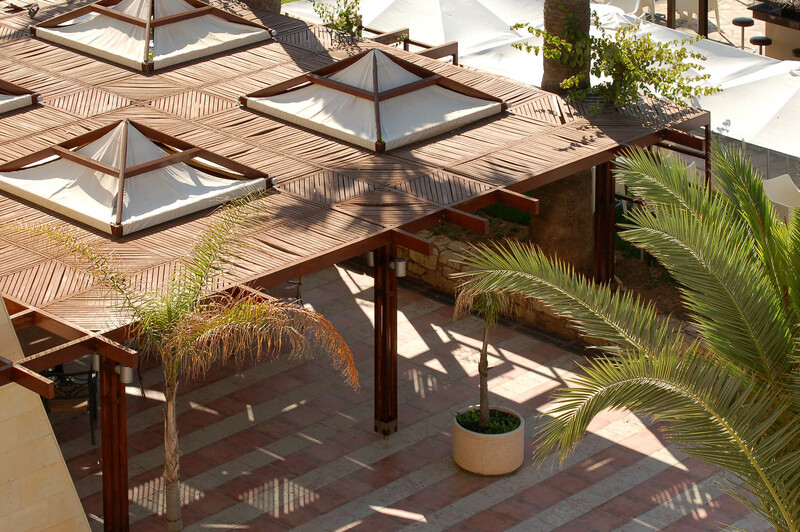 Strolling along the paths you can stop and relax in one of the many cafes and taverns, or Palm Beach Hotel’s very own bar. 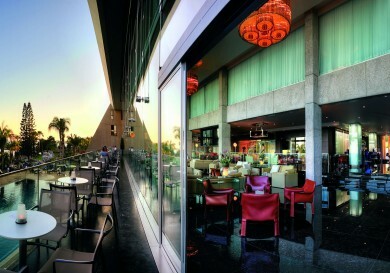 The day comes to an end, and we go out for dinner. 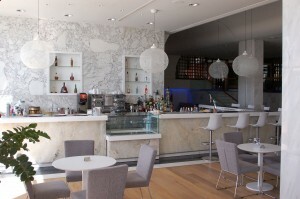 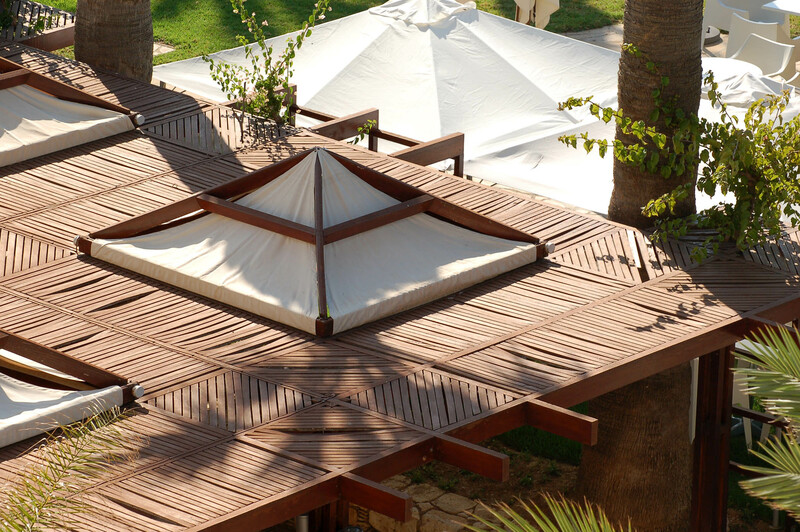 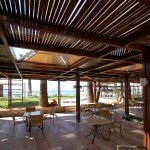 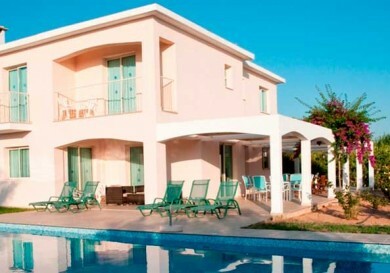 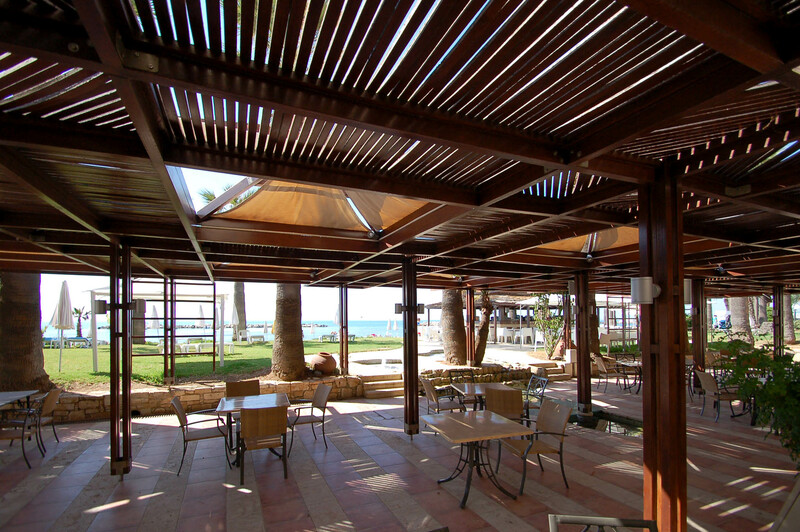 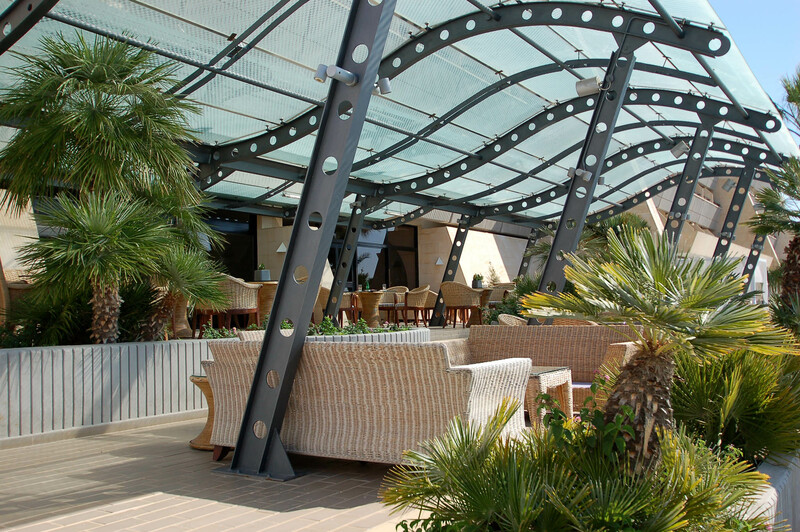 Guests can choose from the buffet restaurant, Omega, or visit the Sea Breeze Tavern, or a restaurant in the pergola where you can enjoy international and Cypriot cuisine. 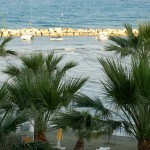 After dinner, we go for a walk along the beach and will continue our exploration of the hotel tomorrow. 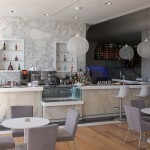 Breakfast at Palm Beach 4* is quite diverse: muesli and various kinds of omelettes and eggs, with fried bacon, if required, a variety of sausages, vegetables and pastries, seasonal fruit, a good selection of cheeses and many others dishes. 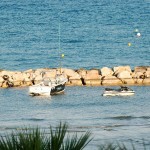 After breakfast, we go for a walk. 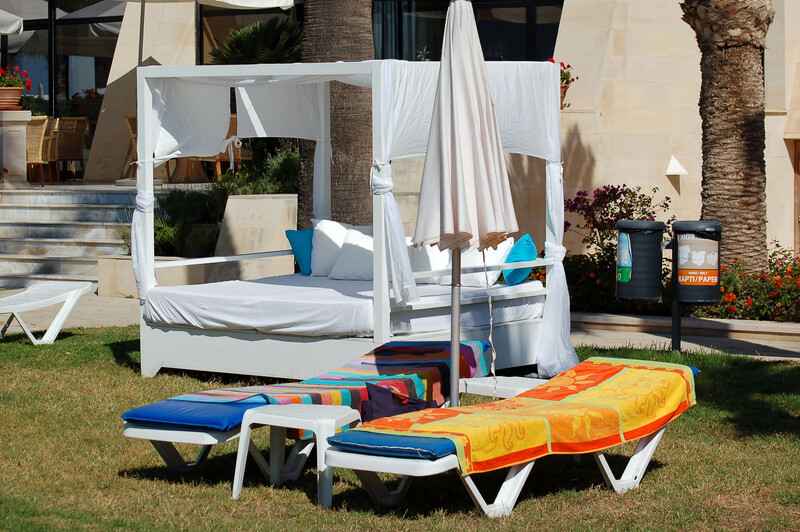 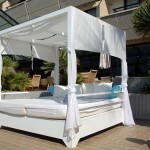 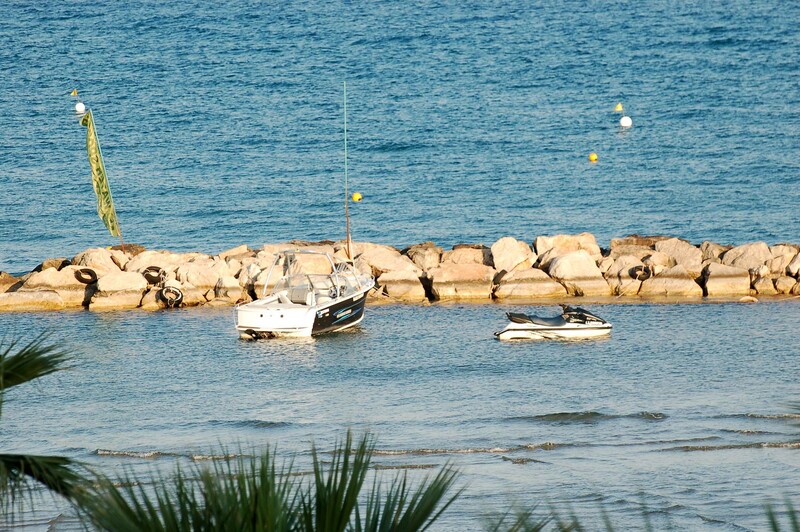 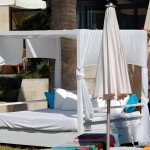 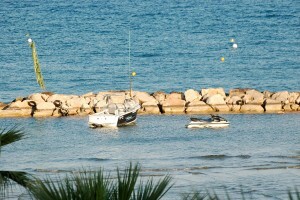 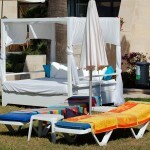 What does Palm Beach 4 * have to offer active and energetic guests? 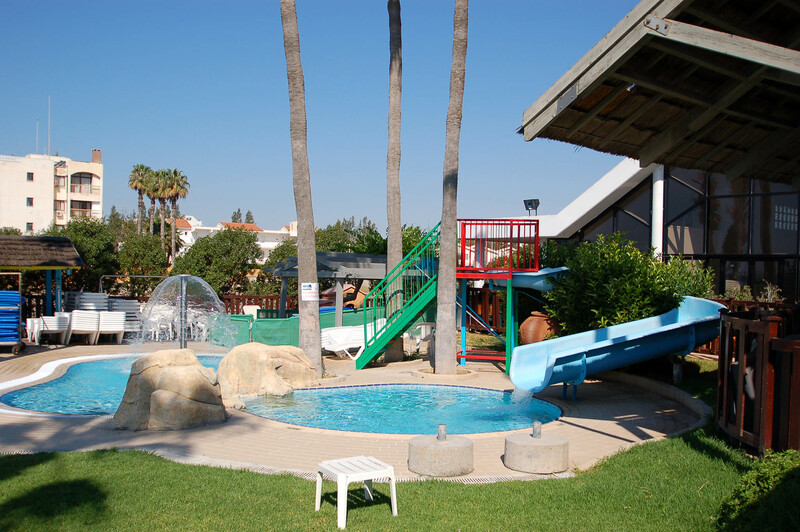 The hotel has two floodlit tennis courts, air-conditioned squash courts, a large outdoor swimming pool, indoor heated swimming pool and a lagoon-style pool next to the bungalow complex in the garden, table tennis, gym, sauna, Roman bath and Jacuzzi. 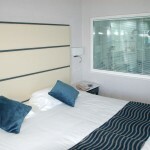 Guests will not be bored. 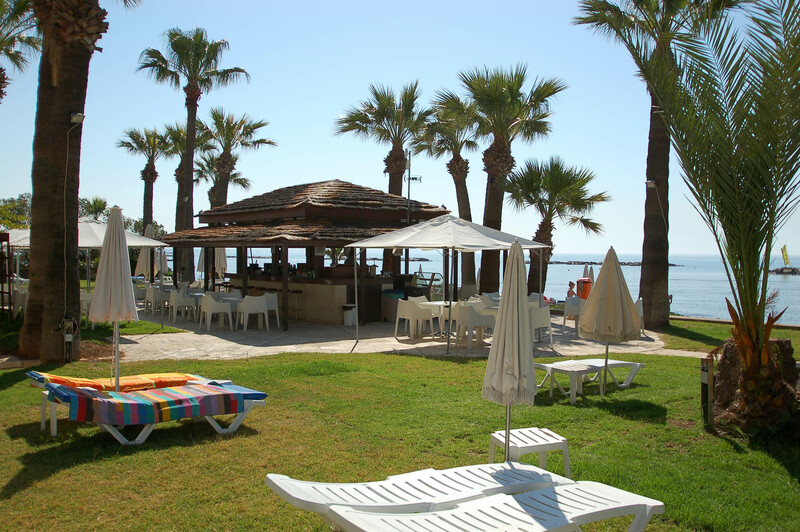 Well, if this is not enough entertainment for you, the beach offers scuba diving, water skiing, parasailing, sailing, windsurfing and other water sports. 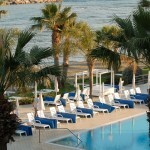 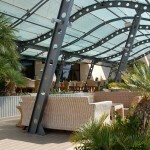 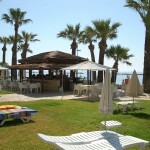 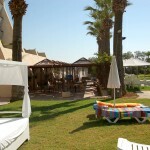 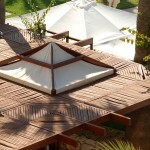 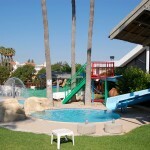 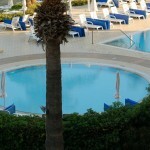 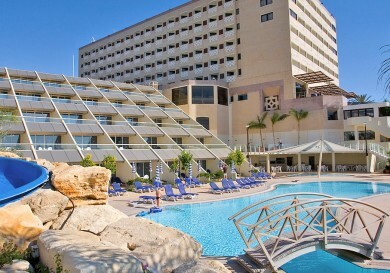 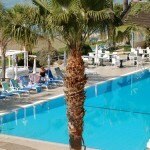 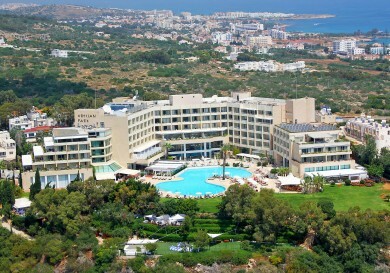 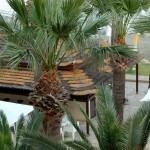 The hotel also has a kid’s club (from June till October), as well as an area equipped with a small pool and water slides. 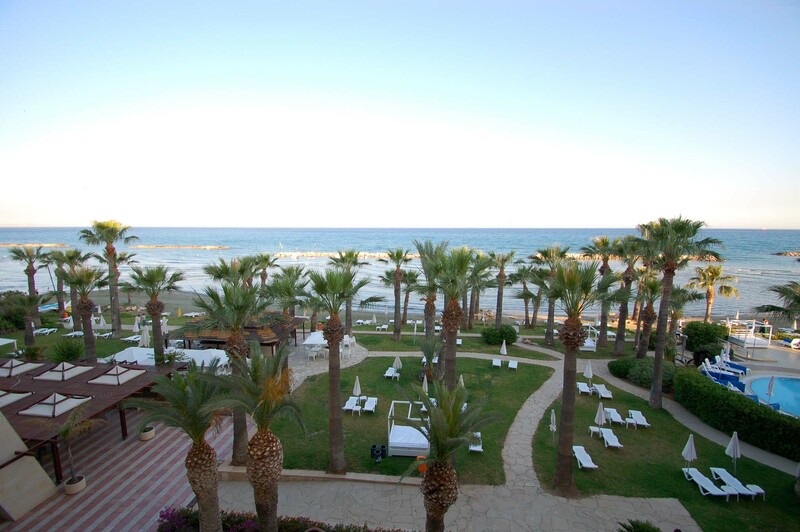 A wedding on a sandy Cyprus beach, what could be more romantic? 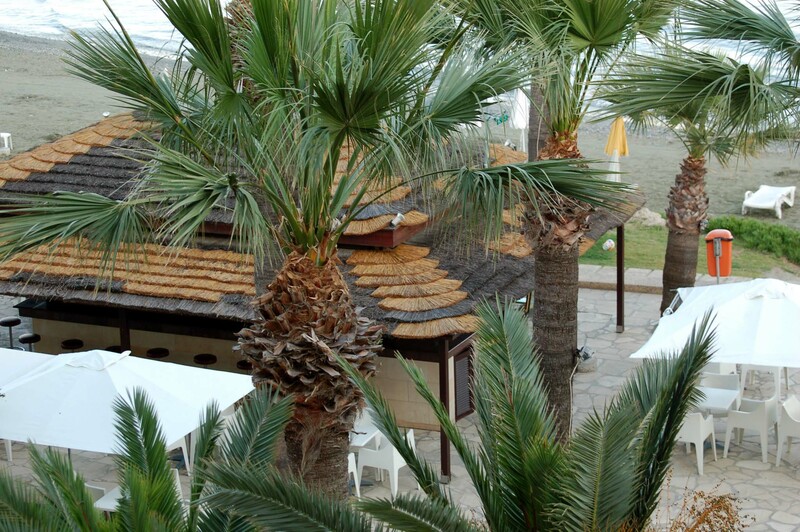 It’s possible to organise a ceremony on the seashore or in the beautiful Greek style chapel of Saints Constantine and Helena. 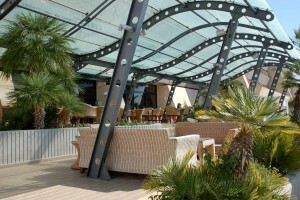 The new conference hall, which can be divided, can accommodate 25 people for meetings and up to 1500 people, during receptions. 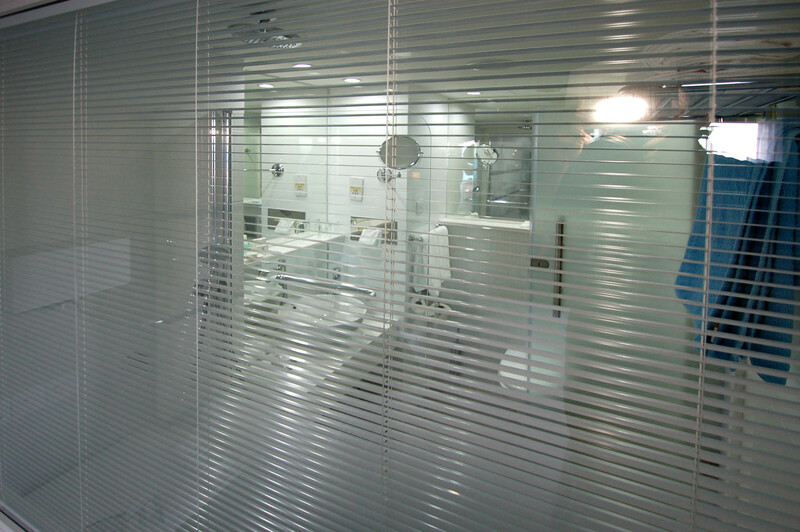 For its business clients, the hotel can provide internet access (Wi-Fi), and laptop computers, LCD projectors, mobile phones, microphones, carousel slide projectors, overhead projectors, 8 and 16 mm projectors, videos and televisions, screens, video cameras, whiteboards, flip charts, windows and other equipment. 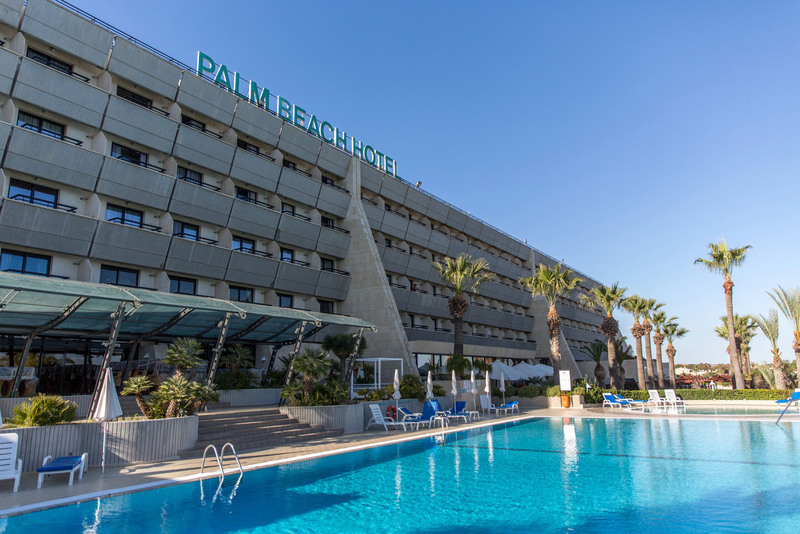 So, whether you’re planning a family holiday with children, a romantic vacation, business conference or seminar, the Palm Beach Hotel 4* is ready to provide guests with everything that will make their stay a memorable one!